Among all futuristic endeavors 3D printing deserves mentioning but the mysterious nature of it sometimes make us wonder about the benefits we could derive from its proper utilization or implementation. 3D printing is adopted by varying sectors from education industry to clinical and fashion, today this technique is so much popular for it helps in developing prototype quickly and thus better results are produced. In this way you can improve your business and fast-track your profit quotient, soon become a recognizable name in industry. To find 3D printing filaments for art ,design and prototyping , you need to explore best 3D printing material online. Right before focusing on the benefits of using 3D printing, its little useful to know about this printing technique. 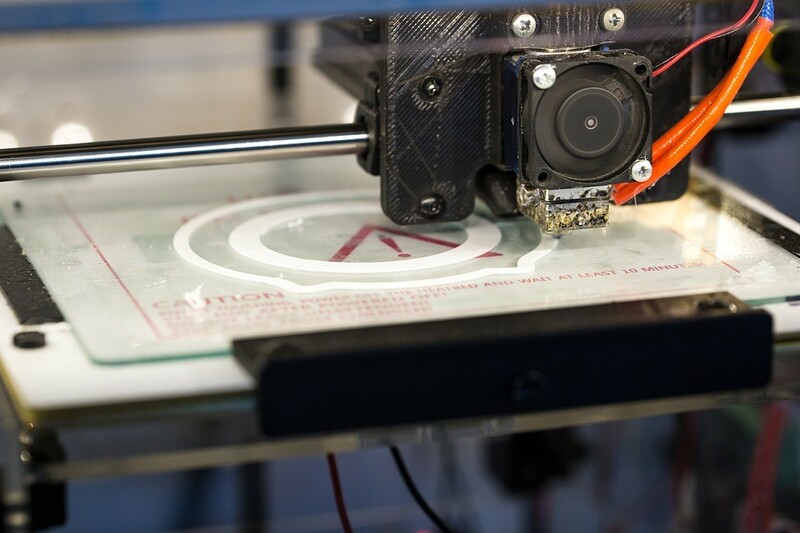 3D printing is a method of showcasing any three dimensional object digitally also tangibly. Following the additive processes 3D printing is achieved. By laying down the consecutive layers the object is created. When you are to show a complex functional shape making use of limited material, 3D printing is best choice. 3Dprinting permits ideas to take proper shape in faster time span. A concept can be 3D printed on the same day it was planned and in this way the development duration that the process is likely to take shrinks. So the companies making use of 3D printing are likely to go ahead in competition and market their products without delays and interruptions. It is a fact known around that tools which are meant for Prototyping injection mold along with other production activities turn out highly expensive and such investments companies sometimes cannot afford. Comparatively 3D printing turns out quite cheaper an option where, following the additive manufacturing parts or tools can be created at surprisingly lower price. Traditional machining is expensive and so small or mid-size companies sometimes cannot afford to follow the traditional machining so 3D printing is their way of achieving goal in less time with less expenditure. 3D printing actually helps in saving money as well as the risk which is likely to occur on using expensive molding tool. 3D printing helps in understanding the design right before making an investment and it helps to decide whether it is worth an investment. When there is a production ready prototype available to see and scrutinize, it is actually a great opportunity to build up confidence and mend the shortcomings if there is any or testing the prototype and doing the redesigning where it is needed and then finally when everything is so perfect, making investment becomes a confident step on the end of investors. This era is an era of digital marketing, here the digital design and art help in translating the mere imagination in reality and when 3D printing is pursued it helps in realizing dream into reality for less expense. Irrespective of what is imagined, 3D printing can give a shape to it by sketching the thing up digitally. In comparatively shorter time span you will get your concept or idea getting a shape and size in one of a tangible form. Hence, certainly from avague thought to a tangible produced part would turn out to be an inexpensive faster yet effective journey for you. When you are having an exact prototype you can exhibit the same at a trade show only to gauge the reaction and feedback of the onlookers and potential buyers. Getting response on your product will help you to understand the pros and cons of it, also perceive what bulk of your potential customers and investors looking forward to have. So 3D printing would help you verify the market for your product. As said earlier, people today is less contented and convinced when products are marketed through pictures or displayed on screen. Getting the tangible feels is certainly convincing and when as an investor you are thinking about ensuring the ergonomics also how the product would fit, 3D printing would obviously be helping you out to promote the item in better way. 3D printing paves an easy opportunity to personalize or customize any part, only to meet the requirements.There is a scope for redesigning or reshaping as per needs. Due to this facility, medical as well as the dental industry, jewelry designing also the fashion world are much benefited.